"A Polygamy Compound in Mexico"
Ben Jacobs gets an innocuous interview with Gov. 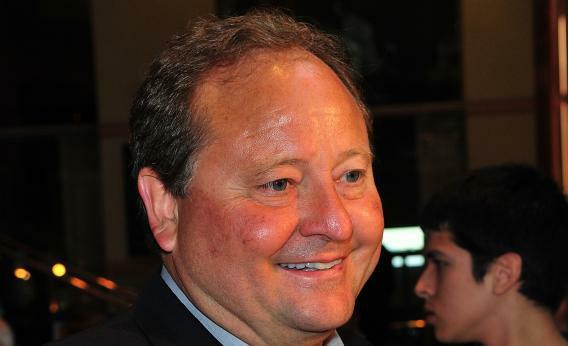 Brian Schweitzer, a netroots favorite who isn’t even much of an Obama surrogate, and look what happens. Jacobs points out, as Romney has repeated pointed out, that his father George was born in Mexico. Everything Schweitzer said was true. Miles Romney, Mitt’s great grandfather, was a polygamist. In The Real Romney, their biography of the candidate, Michael Kranish and Scott Helman recall that Miles got into legal trouble and “church leaders… told him to go to Mexico to build a Mormon colony in which polygamy would be allowed to flourish.” Miles took another wife while living in the colony. The Romneys stayed in the colony for 27 years, but Miles’s son Gaskell and grandson George did not practice polygamy. The Romney campaign’s response to the Schweitzer quote? So far, nothing. They didn’t need to weigh in. The Huffington Post and Washington Post quickly ran their own write-arounds about Schweitzer, because he’d been offensive. What’s offensive about describing the facts of Romney’s heritage? Better question: What’s offensive about saying that Barack Obama spent time in Indonesia and school forms listed his religion as “Muslim”? Those are true statements, too. Also a true statement: Barack Obama’s father was a polygamist. But say any of that stuff and you get shamed for your offensive dog-whistling. Schweitzer, accidentally, has hinted at one of Mitt Romney’s surprise strengths. Sure, there are aspects of his religion and past that could spook swing voters. But the spooking has to be done via back channels and rumors. You can’t have a politician or a surrogate talk about it. Rick Perry learned this when Pastor Robert Jeffress appeared at the Values Voter Summit and talked into 342 microphones about the falseness of Mormonism. Obama and Romney have a non-alignment pact that precludes any talk of their religion or family ties.